Big Foot Race is perfect for any event that calls for a fun and zany game. Each racing team is made up of three (3) people, who must work together as a group. 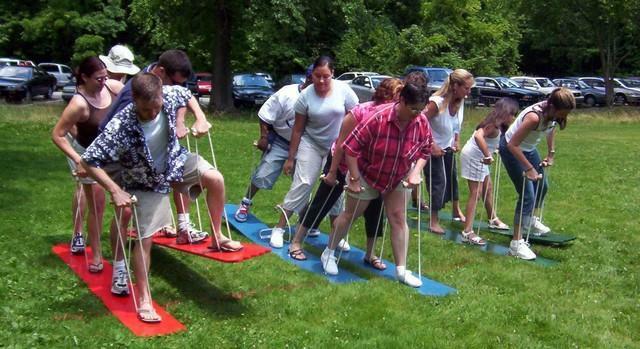 This hilarious event is ideal for both teens and adults and makes huge strides in developing teamwork and cooperation. Comes with Red and Blue set of feet up to 6 players(2 teams of 3) IF YOU ORDER WITH OUT AN INFLATABLE A $40 NON-INFLATABLE FEE WILL BE ADDED.